I was checking my blog settings for forcing https but (effectively) stumbled upon the stats page. I was a bit bored today and so I figured I would write a short (python) script to plot the data. Considering my blog should more or less get visits solely from fedora planet, my expectations about browser and operating systems distributions among the visits was totally different from what I have hoping to see. 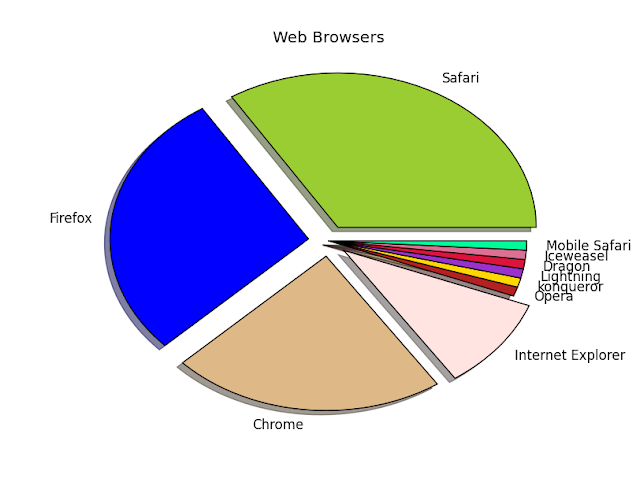 Of course, browser user agents are not the most reliable pieces of information. Still, this looks interesting - Nice correlation between the OS and browser data - at least as I see it. This was based on >44,000 total visits. While I am at it, I might as well add the country wide distribution of blog hits. I recently updated xfdashboard in (rawhide and) Fedora 24 to version 0.5.90. 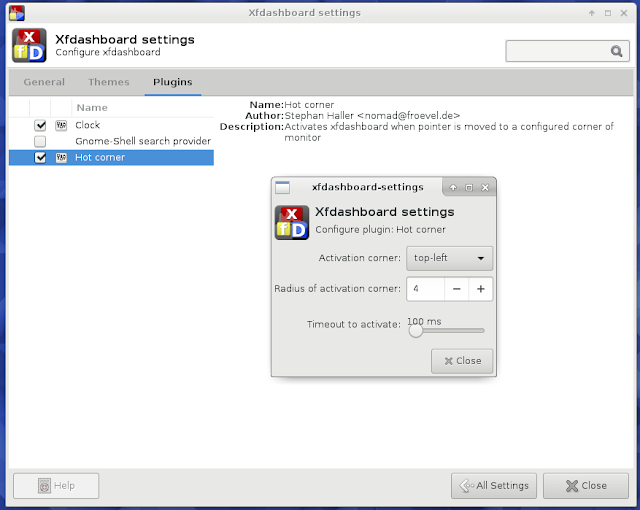 Apart from several under the hood changes, xfdashboard 0.5.90 introduces the hot corner plugin. The activation corner can be set to any of the four corners of the screen while radius of activation was fun to play with. I preferred a slightly bigger radius but that's, of course, a personal preference. I have (finally) built Texmaker for EL-7. The package should be available in epel-testing repository once it is pushed. This is built against qt4. Please test and add karma to the update. nmrglue is a python module for processing NMR data. nmrglue has the ability to read, write and convert between a number of common NMR file formats including Varian, Bruker, NMRPipe, and Sparky files. The files, which are represented in python as dictionaries of spectral parameters and Numpy array objects, can be easily examined, modified and processed as desired. nmrglue provides a number of common functions for processing NMR data such as apodization, spectral shifting, Fourier and other transformations, baseline smoothing and flattening, and linear prediction. In addition new processing schemes can be implemented easily using the nmrglue provided functions and the multitude of numerical routines provided by the Numpy and Scipy packages. When used in conjunction with the matplotlib (or other) python plotting library nmrglue can be used to create publication quality figures of NMR spectrum or examine data interactively. Xfpanel-switch is a nifty little program that aids in managing multiple panel layouts in Xfce. I came across this application when I checked out xubuntu livecd last week. I have now pacakged this application for Fedora. It is available in rawhide and for Fedora releases 24 and 23. There are three other configurations available for selection in the default setup.